KUALA LUMPUR, Sept 9 — Malaysia’s first cyber range for technology development and online warfare training was opened yesterday with the aim of producing 10,000 cyber security professionals in the next four years. The Cyber Range Malaysia (CRM) facility at Universiti Islam Antarabangsa Malaysia is a public-private collaboration between CyberSecurity Malaysia, Cyber Intelligence Sdn Bhd and the university. 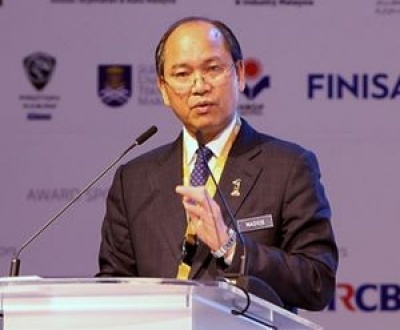 Science, Technology and Innovation Minister Datuk Seri Madius Tangau said the facility was needed due to cyber threats and the growth of technology. “We hope it would train and certify 10,000 cyber security professionals by 2020 to develop a strong pool of cyber security talent,” he said at the facility’s launch yesterday. Besides training, the CRM can be used to help strengthen the stability, security and performance of cyber infrastructure and IT systems used by government and military agencies. “Organisations can now utilise state-of-the-art facilities to simulate cyber attacks and will be able to construct empirically valid cyber war-game scenarios to further develop and enhance the skills of its IT staff,” Madius said. He said through the simulated “war-game” environment, corporations and organisations would gain valuable skills and knowledge to counter cyber threats in a holistic and effective approach. “This will allow organisations to set a benchmark for the performance of their IT security teams and assist them to comply with the security assurance requirements of their industries,” he said. CRM also provides an education and training platform for Malaysia to introduce Certified Cyber Defender Associate (CCDA) courses for network administrators, information security officers and C-level information technology professionals. “Such courses are important as security practitioners need to constantly upgrade their skills to deal with cyber threats of growing sophistication,” he said. Madius said cyber attacks were a reality these days and there was a need for a platform to train cyber security experts to defend their system. Lavinia Louis “Cyber Range to Boost Online Security.” The Malay Mail Online. 9 Sept. 2016.